This group discusses formal languages and their models, such as automata, grammars and systems based upon them. It pays a special attention to the regulation of these models so they capture various context dependencies in a clear and precise way. The group also studies how to apply the formal models under investigation in various computer science areas, such as compilers any bioinformatics. The group focuses on the basic research in the theory of formal languages and compilation. Considering formal language theory, we usually study generative power of regulated models (eg. scaterred context grammars) or of the whole systems of models (eg. grammar systems). Further, we are interested in scattered information processing models such as jumping automata and grammars. From the practical areas, we investigate the automation of syntax and semantic analysis in compilers. 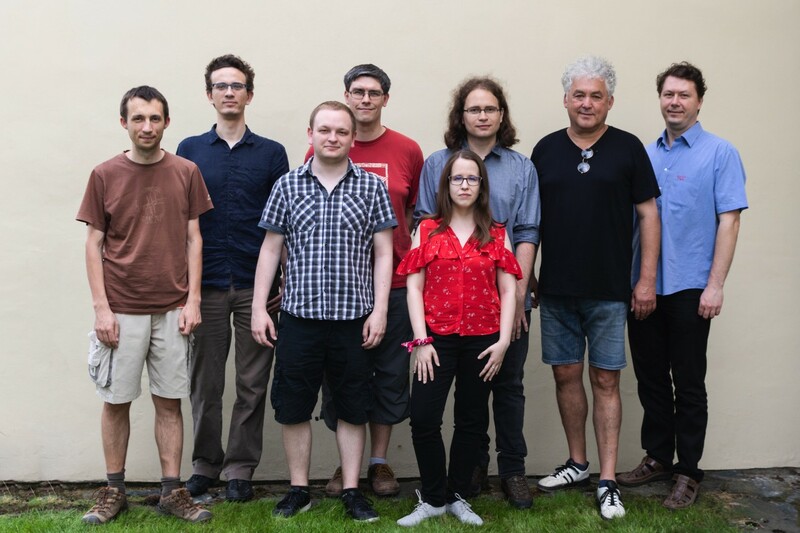 The members of this group can offer consultations in the design, description and processing of mathematically oriented languages (including programming and domain-specific languages). The subteam under the supervision of dr. Kolář cooperates with Avast (former AVG Technologies) in research of reverse engineering and decompilation.